Will Cagle has always had a passion for the outdoors. Having worked for other landscaping companies and also in construction, he started Cagle Cuts in 2004 and never looked back. Born and raised in the St. Louis area, he loves being able to service his community. He has amassed over 70 weekly homeowners and looking forward to adding some commercial accounts very soon. "I love working with our homeowners and making their lawns look great," Cagle says. "I love shaking their hands and seeing the satisfaction of a job well done." Not only will Cagle Cuts take care of your regular lawn maintenance, they also do anything outdoors including pond service, patios, decks, retaining walls, pre-planting, tree removal, and irrigation. When asked what has been the main factor in his company's growth, Cagle said "customer service & professionalism". He goes on to explain, "this is all about building relationships with all of our customers. We make sure that every customer is happy because our word of mouth reputation is everything. We want to service your property for life." He also makes sure to carry a professional appearance along with their professional equipment to do professional work and that is why his company is one of the best lawn mowing companies in St. Louis. Other than his love for the outdoors, Will attributes his love for property transformation as another reason why he loves his craft. "I love seeing the before and after of my work and also seeing the satisfaction of the homeowners face when it's all said and done," Cagle explains. "That’s why I do what I do." When he is not out keeping his customers happy, he loves to spend time with his 4 children. He also enjoys hunting and fishing in the Ozarks. Whether your lawn is needing a regular cut or a full on lawn make-over, let the pros over at Cagle Cuts get your lawn looking like the envy of the neighborhood. How many years have you been in landscaping business, and what inspired you to get started? I've had my landscaping company for 12 years now. I started with basic lawn maintenance then progressed to complete design and installation. What inspired me the transformation of the before and after, as well as the happy smiling faces of my clients. How does your work stand out from other lawn service companies in the area? I believe that most anyone can cut grass. Is it the way "you" as the client would like it to done? I believe that what would stand out the most. I'm very detailed with all of my work. I would like to develop a steady relationship, not just once and done. Ps, I would exspect someone to do the same quality of work to my house as they would there own, "if not better" that I'd hire. That's what I've built my company off of is "Quality customer service". What advice do you have for a customer looking to hire a provider like you? Please be clear and reasonable to what you are wanting and exspecting. What do you like most about the lawn care industry? I enjoy working outdoors as well as the indefinite fact that, grass is always going to grow so that makes for steady work. What areas do you mainly service? I mainly service West County and South County areas. I'm always trying to gain new business and grow so I'm adaptable open to expanding to new areas. Adam Rose has been landscaping since he was 15 years old. When a family friend approached him back then to help, he wanted the extra money and jumped at the chance. He worked with that company every summer until he graduated from southeast Missouri State University. Having graduated with a business management degree with a minor in entrepreneurship, he was at odds with his next move. So instead of joining the corporate hustle, Adam decided to start APLC Landscape in 2008. Adam and his wife, Lisa, have lived in Missouri their entire lives but call O'Fallon home. APLC runs 3 full time crews and has a total of 6 employees. Two of the crews are strictly lawn mowing and the other crew is dedicated to landscaping duties. They have amassed over 150 residential properties and also exclusively service the Vehlman Properties. The properties include police stations, CPA offices, DR's offices, financial institutions, and dentist's offices. 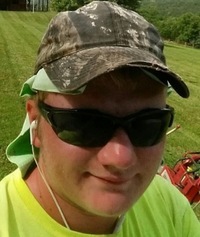 Adam and his crew service all of St. Louis County and St. Charles County including mowing lawns in O'Fallon, Florissant, O'Fallon, Kirkwood, and even cut grass in Ballwin, Missouri. Their service is recommended specifically in the neighborhoods of Wild Horse Creek and Kehrsboro and other surrounding neighborhoods. Are you needing lawn service outside of the O'Fallon, MO area, no problem, if you are needing lawn cutting service in Ballwin Missouri or even lawn mowing services in Belleville, IL the GreenPal website has you covered. When asked what has led to APLC being one of the Premier landscaping companies in O'Fallon, Rose replied "We let our work speak for itself." He goes on to add, "We get to know all of our customers, their preferences, and even their pets names. All of our crew members are highly trained and experienced and they give their best effort on every job. Our reputation Is everything and we will not do anything to tarnish that reputation since 80% of our business is referral based." Not only is APLC Landscape your full service maintenance company, but their service includes leaf removal, aeration, mulching, sodding, cleanups, bush and shrub pruning, over seeding, low level tree trimming, snow removal, bed edging, pressure washing, pesticides, and fertilization. "We want to be the one-stop shop for any and all landscaping needs for our homeowners," Rose comments. When Adam gets a few minutes to relax, you can find him either playing golf or hockey. He loves to frequent the Eagle Spring Golf Course in St. Louis and also plays in a men's hockey league. "Golf and hockey allow me to relieve my stress and escape," Adam laughs. "Besides my family, those are my indulgences." Adam and Lisa just celebrated their 5 year wedding anniversary and have a son, Mason, who just turned 1. Next time your lawn needs a regular mow or any service whatsoever, let Adam and the professionals at APLC Landscape handle any and all of your landscaping needs. 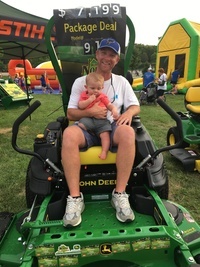 Matt Walz started Matt's Lawncare in 2010. Wanting a little extra spending money, Matt knew that he could go around the neighborhood and mow some lawns. Little did he know that his hobby would turn into a passion. "When I first started, I didn’t know that I would enjoy it as much as I did," Matt says. "It was like being paid to do something you love so I decided to make it my career." Matt has lived in the Villa Ridge, Missouri area all his life and attended Pacific School in Pacific, Missouri. Matt and his crew proudly service Villa Ridge, Pacific, Eureka, Wildwood, Valley Park, Des Peres, and Kirkwood. Matt will also travel north and cut yards in O'Fallon, Missouri and perform lawn maintenance in O'Fallon, MO. 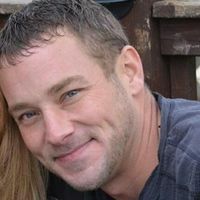 Matt has built his client base to over 50 recurring customers and is looking to grown his business next year. He also services a few commercial properties in the area. "We have the capability to add many more customers on our routes this coming season," Walz replies. "In some instances, we can provide same day service to homeowners. Walz and his crew also use nothing but the best in commercial grade equipment. He has a 36 inch Hustler Walk behind and a 42 inch Ferris. He also has a couple of Stihl blowers and a small push mower for those hard to reach places. "We pride ourselves on having the best equipment so we can leave the grass looking perfect." Walz explains. "Our blades are always sharp and that really can make a difference on how our lawns look." Matt's Lawncare will not only handle your regular lawn maintenance needs but they also can handle mulching, sodding, aeration, leaf cleanup, shrub and bush trimming, low level tree trimming, and over seeding. Since this industry is all that Matt has ever known, he attributes his love for being outside and attention to detail as the secret to his success. "I have always loved working outside and I love seeing the lawn when I am finished," Walz says. "It gives me a sense of pride to know that I leave my customers' property looking better each and every time. It is something that will never get old." When Matt is not out keeping his customers happy, he loves to DJ. "Seeing people dancing to the music I play is like seeing a customer happy after I mow their lawn. Very satisfying," Matt laughs. I started my lawn care service in O’Fallon Missouri a few years ago, and when I got started customer satisfaction and hustle was the name of the lawn mowing game. Now that I am more established and mowing over 40 yards per week in O’Fallon MO, it's funny how somethings never change. I have built my business on customer satisfaction. Every customer I earn is usually because of word-of-mouth from another satisfied lawn care customer with my lawn care services and yard maintenance work. Last season I joined the GreenPal lawn care app as a means to better run my business and keep up with bookkeeping and routing for my lawn mowing customers. Since then my business has grown even more and I've had to hire another lawn care helper to help me keep up with all of my yards I have in the O Fallon Missouri area. If you are needing lawn care service, yard maintenance work, landscape maintenance, or even just a basic lawn cutting for your home in O'Fallon then click the little blue button below and you can get a free lawnmowing quote from me personally. Usually I can turn around free lawn mowing quotes and a yard maintenance proposal within a few hours of receiving the text message notification from the GreenPal system. We mow all of St. Louis County, city and surrounding regions. However, if you need lawn care services in Chesterfiled Missouri or if you are looking to hire lawn mowing services in Florissant, MO just sign up for GreenPal becasue they have some great lawn care businesses in those areas of St Louis as well. What sets me apart from other lawn care services and yard maintenance businesses in the O'Fallon Missouri area is my attention to detail. I sharpen my lawnmower blades at least once a week that way you don't notice any frayed yellow edges on the top of your grass. Most other lawn care services in the O'Fallon area only sharpen their blades a few times a year but I do it once a week because it really makes a difference in a clean lawn mowing cut and not just a ragged grass knocked down look. If you're wanting just a basic lawn cut that's fine, I can offer that to and usually it's a little cheaper but for another five or $10 I can mow the lawn with a few more passes so you don't have any grass clippings left over, edge all of the curbs and sidewalks nice and neat, get the weeds out of the beds, and blow off all of the clippings from your sidewalks driveways and patios. Most folks opt for a nice clean professional lawn care service because it really makes your yard the envy of your neighbors in O'Fallon Missouri. Thank you for your consideration and hire me for your lawn mowing needs and lawn care service needs I will not let you down and is my hope to be your professional lawn care service for Affordable Lawn Care for your home in O'Fallon Missouri for lawnmowing seasons to come. Have a great day. Hi there and welcome to the online ordering page for lawn care services in O'Fallon Missouri if you are needing to get your lawn cut you are in the right place and if you are ready go ahead and click the orange button at the top of the screen to get five free quotes from affordable lawn care services in St. Charles county delivered to your email inbox for lawnmowing for your home in O Fallon Missouri . My name is Gary, allow me tell you a little bit about how the GreenPal lawn care service works. We have done the hard work for you by interviewing all of the best lawn care services in the Saint Charles County Missouri area so whether you live in O'Fallon, Lake St. Louis, or Wentzville MO the best lawn care services in the O'Fallon Missouri are are now at your fingertips to hire online for your yard maintenance needs. After we do all of that we set them up on the GreenPal system for them to operate their lawn mowing business in the O’Fallon area to service your yard for you. Why does this matter? Because now you can hire one of these great lawn care services in O'Fallon Missouri at an affordable lawn mowing price without even having to make a phone call. The city of O'Fallon is growing at the last census it has over 90,000 residents and was recently named one of the best cities in America to live in. It is the sixth largest city in the state of Missouri and as such lawn mowing businesses and yard cutting companies in O’Fallon are busy, I imagine you have tried calling around to other lawn service companies or lawn care businesses in the O'Fallon Missouri area and can't even get a return phone call , right? Well now you don't even have to leave another voicemail again. Just a few clicks of your mouse or taps on your smartphone and you can hire one of them on this website you're on now or with the GreenPal lawn care service mobile app. So take a break this weekend and let a reliable and affordable lawn care service in O'Fallon Missouri cut the yard for you. 'Fallon is a city along Interstate 70 and Interstate 64 between Lake St. Louis and St. Peters in St. Charles County, Missouri. As of the census of 2010, there were 79,329 people, 28,234 households, and 21,436 families residing in the city. The population density was 2,717.7 inhabitants per square mile (1,049.3/km2). There were 29,376 housing units at an average density of 1,006.4 per square mile (388.6/km2). The racial makeup of the city was 89.9% White, 4.0% African American, 0.2% Native American, 3.2% Asian, 0.1% Pacific Islander, 0.8% from other races, and 1.8% from two or more races. Hispanic or Latino of any race were 2.7% of the population. There were 28,234 households of which 44.7% had children under the age of 18 living with them, 61.6% were married couples living together, 10.0% had a female householder with no husband present, 4.3% had a male householder with no wife present, and 24.1% were non-families. 19.3% of all households were made up of individuals and 6.2% had someone living alone who was 65 years of age or older. The average household size was 2.80 and the average family size was 3.23. I would say it is an average lawn size. There is a slight incline in the yard. Do not mow the right side of the adjoining yard where cable box/transformer is located. We are having the area looked at to fix wires that have been pulled up. Pool in backyard. Mower with large deck might not fit through gate. Backyard fence with unlocked gates on both sides. Mainly just need the yard mowed twice a month with edging. I would also like my bushes in the front of the house trimmed. Fenced yard with gate access on the north side of the house.